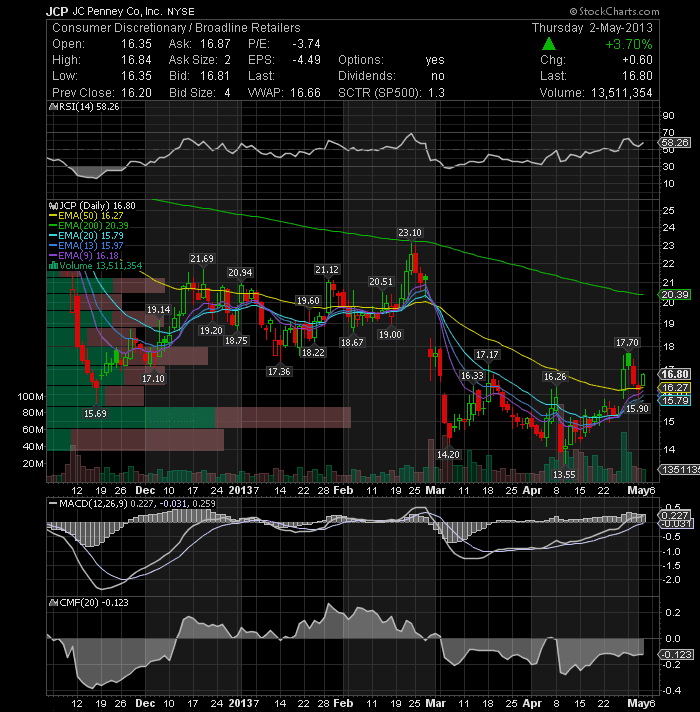 Shares of J.C. Penney Company, Inc. (NYSE:JCP) closed up 3.7% from Wednesday's close to $16.80. 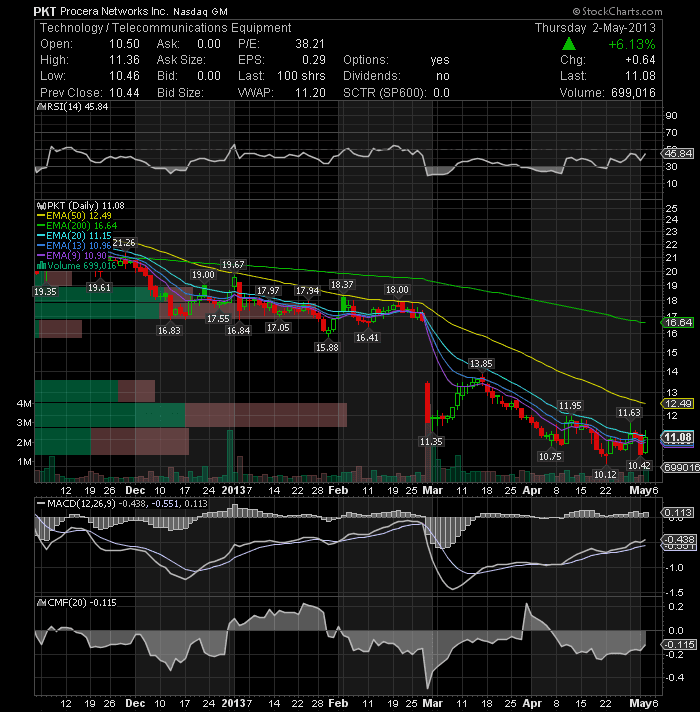 The stock bounced off of its 50-day simple moving average, which is currently at $16.27, in today's session. Watch for a good follow through day and a break above the 17 level to go long. 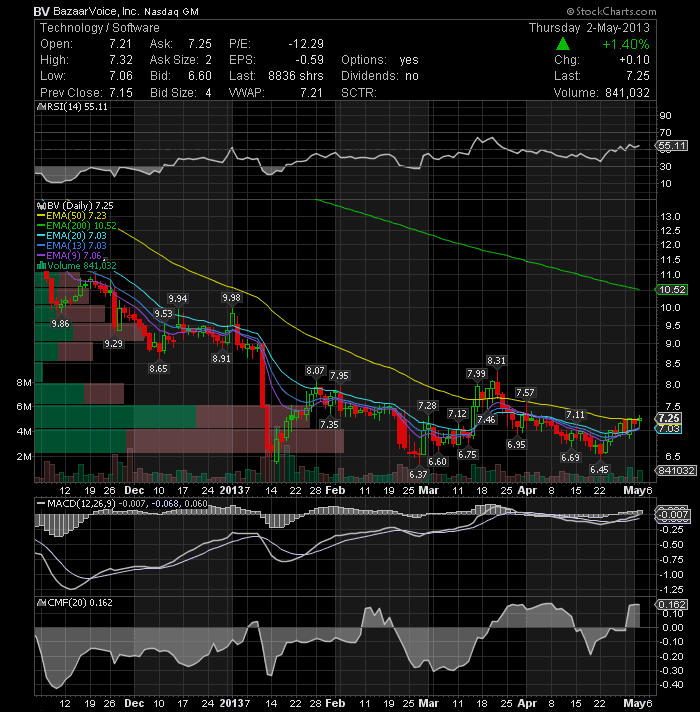 Bazaarvoice Inc (NASDAQ:BV) regained the 50-day EMA for the first time in over two months. Could be a high flyer on breakout, look for break above 7.32 tomorrow to enter longs. 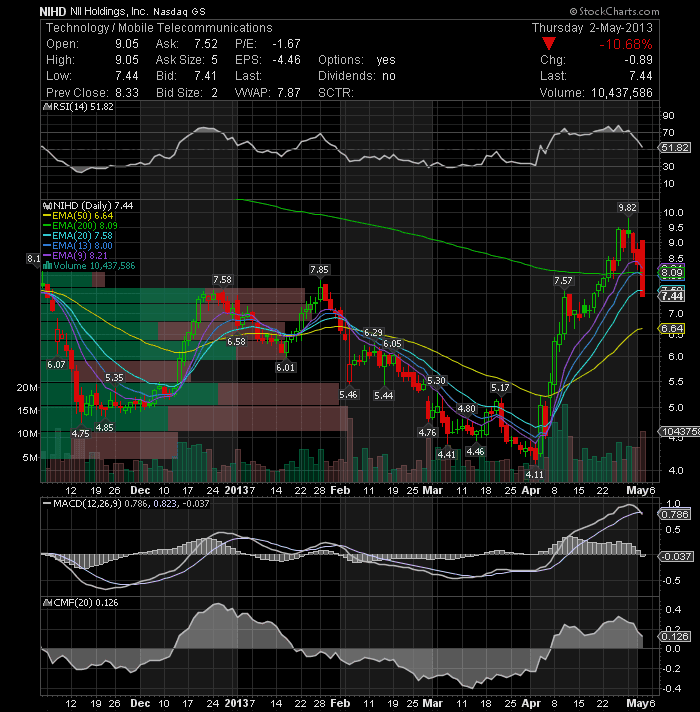 BV still showing strong accumulation on up days with high volume and selling on low volume. The overall outlook for the stock appears bullish JMHO. 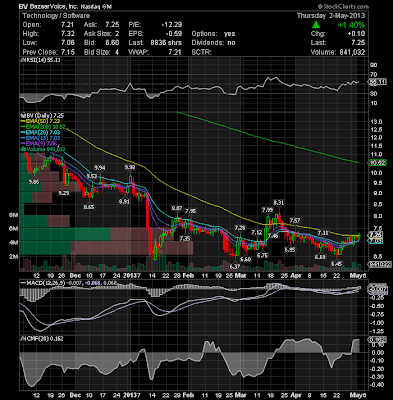 I alerted Procera Networks Inc (NASDAQ:PKT) on Twitter morning as a possible bounce play and the stock did what it was supposed to do, closing up 64 cents or 6.13% on the day trading nearly 700K shares. The stock hit a high of $11.36, which is resistance for Friday’s move. 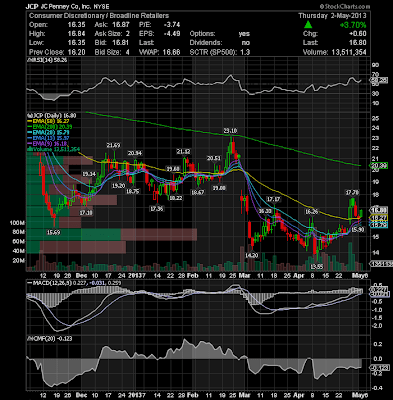 The stock showed strength throughout the day and should continue this upside move. The company announced after the close that it has received a multi-million dollar follow-on order from a Tier 1 European network operator. In addition, the company has also received a multi-million dollar follow-on order from a Top Ten North American MSO. 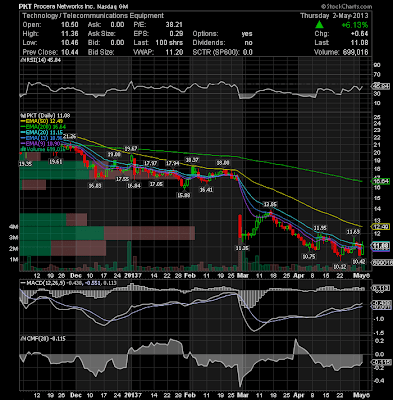 The stock has the potential to make a big run tomorrow, so keep a close eye on PKT and don’t miss the trade. 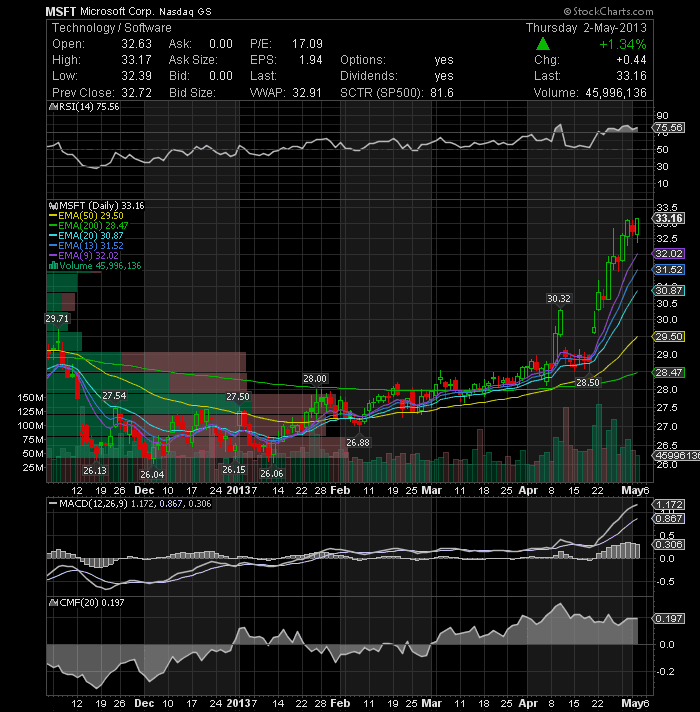 Microsoft Corporation (NASDAQ:MSFT) broke out to new highs today on solid volume. The stock has been on fire since mid-April. It's hard to predict how far the momentum will take the stock. I'm using today’s high of $33.17 as resistance for Friday. A break above that area could trigger further bullish momentum and keep the bullish scenario intact. 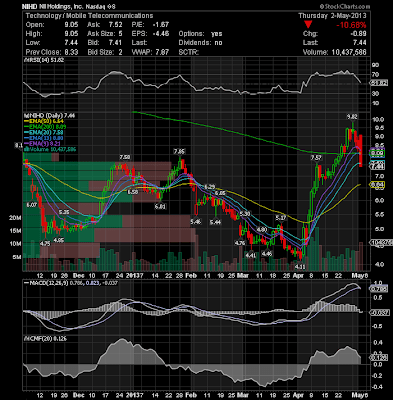 Shares of NII Holdings, Inc. (NASDAQ:NIHD) closed down 10% from Wednesday's close to $7.44. 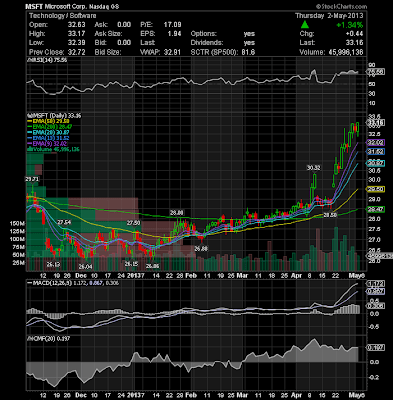 The stock is looking to test its 50-day EMA, which is currently at $6.64.